St. Vincent de Paul offers a unique goods and clothing drive idea called “Clean Your Closets & Help the Poor.” It empowers groups and businesses to fill a number of our donation bags or bins with clothing for a set number of days. A St. Vincent de Paul Goods & Clothing Drive is the perfect team builder for groups. This donation opportunity has been developed so you can get involved in “giving” and have an enjoyable experience. Hosting a clothing drive is simple. First, call 206.767.9975, Ext. 1104 to set up a campaign event. We will help you determine dates, create a promotion plan for your staff team, provide bins for collecting items, and arrange dates to have your stuff picked up. Your office will be delivered the number of donation bags or barrels you will need. Figure that each person can donate ½ bag of clothing. Distribute the bags to employees. If you elect to use barrels for your drive, each one can hold 50 gallons of clothing or other items. You can also create your own level of participation: 30 barrels for 30 days, 5 barrels for 5 days, and 15 barrels for 15 days. Design internal promotion campaigns and announcements consistent with your policies. Employees bring in their donations in the bags. Call us when you are finished with your campaign and we will come to your office and pick up the donations. We have a lot of experience with these drives and we can help you with all kinds of ideas. What Are Your Donations Worth to Us? A lot. Sales receipts from our stores are a major part of our fund raising efforts. 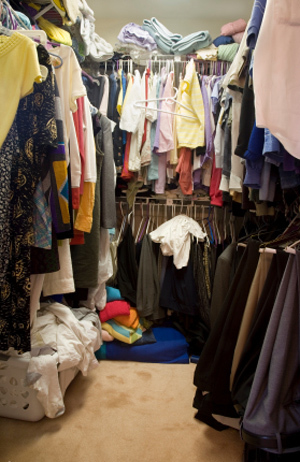 When you “clean your closets and and help the poor,” you are supporting us in important ways. Your donations support our mission of helping the poor and suffering. About 95 cents of every dollar donated to us goes to programs. Therefore, the more items you donate to us, the more we are able to help the poor. St. Vincent de Paul is a non-profit 501(c) 3 organization. The earnings from our stores are used to support our programs to help the poor and suffering. We also hire people who are unemployed. We offer them the opportunity to be trained at our stores. We are a mission driven non-profit charity. Our only work is helping the poor. Our stores are a crucial part of our fund raising. We encourage donors to check percentage levels of earnings contributions thrift stores donate toward helping the poor. Since about 92 cents of every dollar donated to us goes to programs, earnings from our stores are a major part of our fund raising efforts. So the more you can donate to us, the more we are able to help the poor. 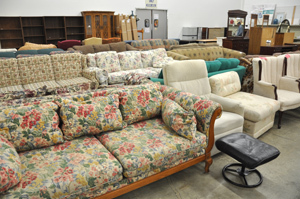 We sell items that have been gently used, including used clothing, books, furniture, toys and household items. Unfortunately, we can’t accept items that have no resale value. We don’t sell old and broken down car transmissions, busted down cabinetry, or torn and tattered clothes. You donate items to us. We sell them at below regular retail prices. We utilize receipts of these sales to fund programs, to provide neighbors with support to keep their water and heat on, to get groceries at our food bank, to avoid being evicted and more. If we can’t sell your donations, we recycle them. .
You can drop off your items at the St. Vincent de Paul of Seattle|King County Council office at 5950 Fourth Avenue South, Seattle, WA 98108. The phone number is 206.767.9975. Hours are 8 a.m. to 4:30 p.m. Monday through Friday. 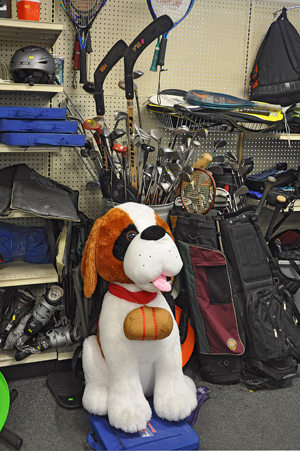 And you can also drop off clothing and household goods at any of our five thrift stores. If you have big items or a large number of bags or boxes of clothes and household goods, call our Goods & Clothing Pick-Up Reservations Line at 206.767.3835 for assistance. You may also fill out the online Goods & Clothing Donations Form. Unfortunately, there are things we just can’t take, not because we don’t want to help you, but because we can’t sell or find space to store them. Items we can’t accept include: Air conditioners, Anything marked or poisonous or hazardous or needing repair or re-upholstering. Bath tubs, Baseboard or gas heaters, Bathroom chairs, Car batteries, Car parts, Carpets, Clothes dryers, Copy machines, Dish washing machines Fireplace inserts, Furnaces, Hazardous material, Hospital beds, Hot water tanks, Large household appliances, Lumber, Metal desks, Paint, Ping-Pong tables, Pool tables, Refrigerators, Shower chairs (due to sanitary reasons), Shower doors, Single pane windows, Sinks, Swing sets, Toilets, Tires, Washing machines. If you are not certain, call us at 206.767.3835 for assistance.